Our Spa Jar Soy Candles are hand poured in 11 oz finely crafted heavy glass tumbler jars and packaged in a Black Linen Style Box which is perfect for gift giving. 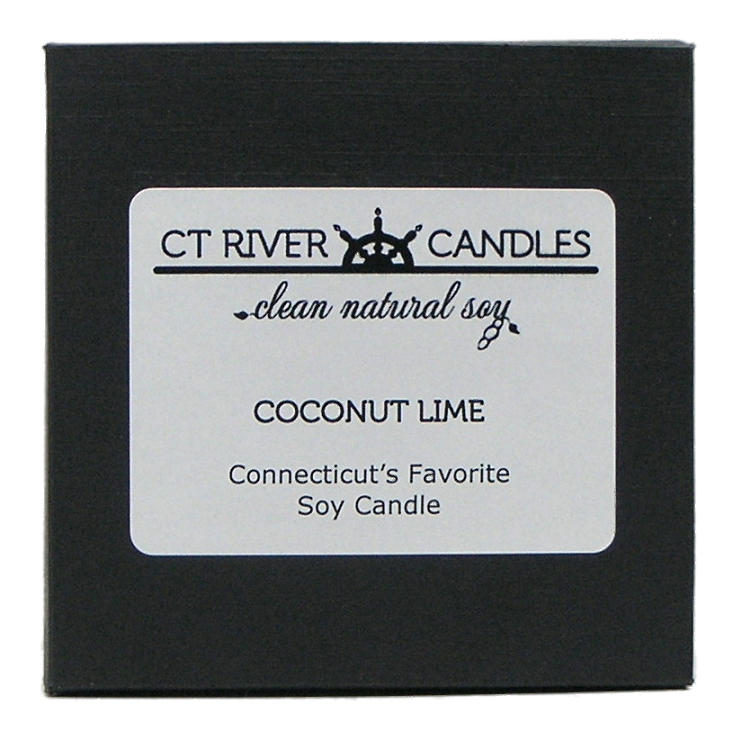 All spa candles are undyed unless requested otherwise by sending us an email at mail@ctrivercandles.com or using our Contact Form. Refer to our Scent List for a description of all scents available in this jar style. Very fragrant awesome candles! I burn one scent in the bathroom and another in the bedroom. I love the Peppermint Eucalyptus! I love the White Tea and Berries and Honeysuckle and Jasmine! They add a nice ambiance to the bathroom for some relaxation in tub and the jar adds a clean, decorative touch to your decor. I gave these out last year as Christmas gifts to all my customer/clients ..Everyone loved them and loved how they burn right to the end! these candles are great when you meditate,yoga, or take a nice long bath/jacuzzi with some fine wine.....These candles are "My Time" candles!